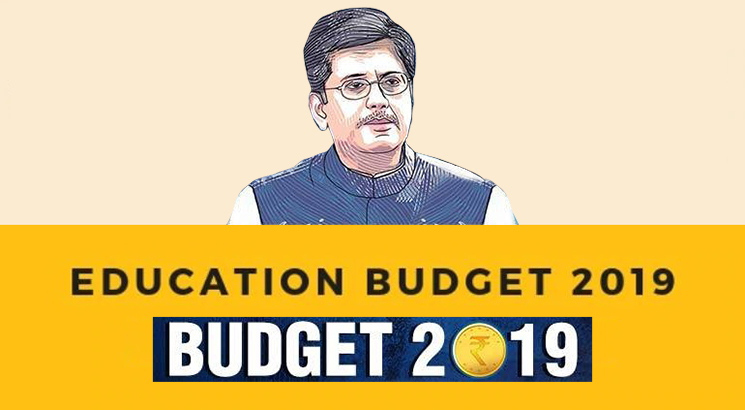 NEW DELHI, FEBRUARY 1: Even as the interim Finance Minister, Piyush Goyal presented the Interim Union Budget 2019, today in the Parliament, an amount of Rs 37572 core has been allocated for the National Education Mission (NEM). Another highlight of the Interim Union Budget 2019-20 is setting up of the 22nd All India Institute of Medical Sciences (AIIMS) in Haryana. The Interim Union Budget besides these two pointers had nothing much more for the education sector. Further, a Central Government Expenditure of Rs 93848 crore too has been estimated for Education in the Interim Union Budget 2019. Last year, the Finance Minister Arun Jaitley had allocated Rs 85010 crore for education sector in the Union Budget 2018-19, which was around 4% higher than the previous year pegged outlay of Rs. 79685 crore of Union Budget 2017-18. The Union Budget allocation of Rs 37572 crore in National Education Mission will take care of a number of schemes under it including Saakshar Bharat programme, Directorate of Adult Education, National Literacy Mission Authority and Sarva Shiksha Abhiyan. Currently India has a total of 21 AIIMS running across the country of which around 14 had been established in last five years. The 22nd AIIMS is to be set up in Haryana, as the Interim FM Goyal announced while presenting the Interim Union Budget 2019-20.